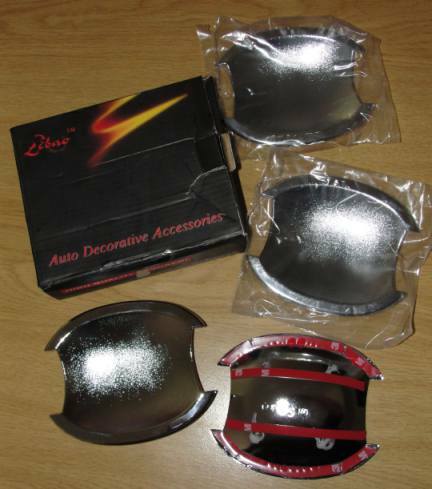 If there is one item that every Tiida owner needs to get it is Door Handle Cup Protectors. 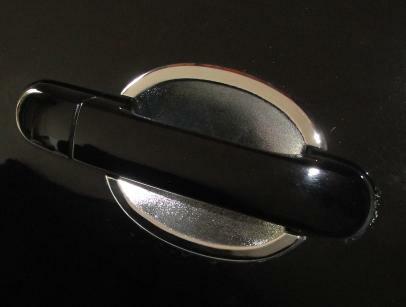 Go have a look at any Tiida’s door, you will see that there are scratch marks in the cup behind the handle. Obviously the darker the car colour the easily you will see it, however having said that on white Tiida’s the scratches show up with brown lines. 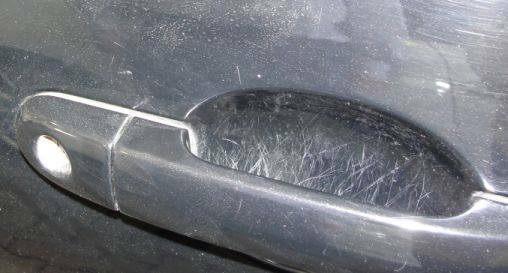 Believe me, how this happens (be it from finger nails when opening the door, or a persons ring) is one of those unsolved mysteries – but sadly it happens. I tried polish. I tried compound. I took the car for a glazing. There was just no way of getting those scratches gone. Well if you cannot fix it – hide it! Now the trick when searching for parts on Ebay is to ensure you also search for model name of the vehicle as it is called in the USA. The Ebay store selling it at that stage was FeiOutlet, and it cost $4.99 + $10,00 shipping (see why you want to sort with shipping costs included…). I ordered it and 6 weeks later I got a slip from the Post Office to say I had to pay R12,00 import duty on the parcel. Total Cost to my house = $15,00 x R8,00 + R12,00 = R132,00 for a set. All I did then was clean the door cups on the car, remove the red backing of the 3M tape on the cup holders and stick in place. No more unsightly scratches!